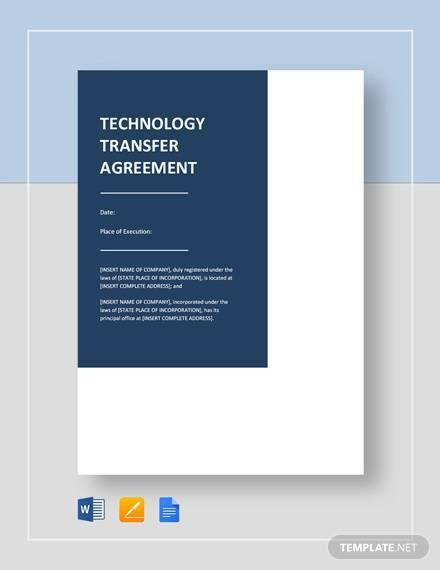 Transfer agreements, an essential type of agreement for the continuous progression of any company. 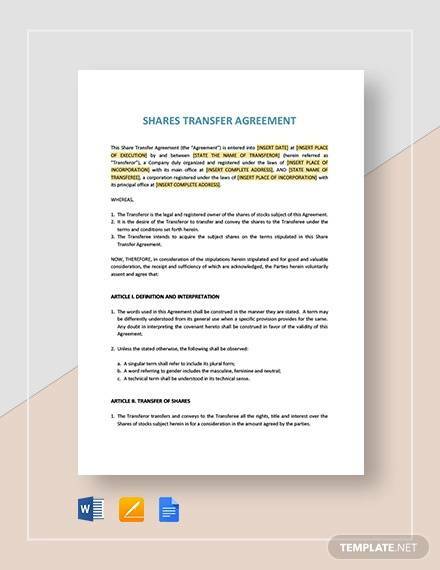 This type of agreement can be used as a means of fund transfer agreements between partners or can also be used as a means of ensuring that the company will indeed start off with a larger capital than if they are run in a sole-proprietorship method of business. 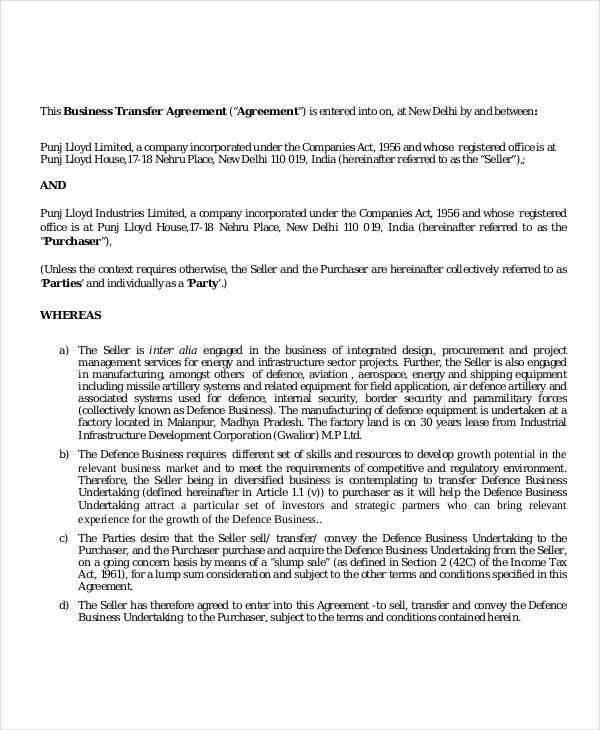 Now, a typical transfer agreement would usually consist of arrangements and agreements between two parties; however, when done in the business sense it can be coined as a business transfer in which both companies, when starting an agreement, tend to enter a form of partnership where both parties will either transfer resources or possibly form a partnership of the two companies. 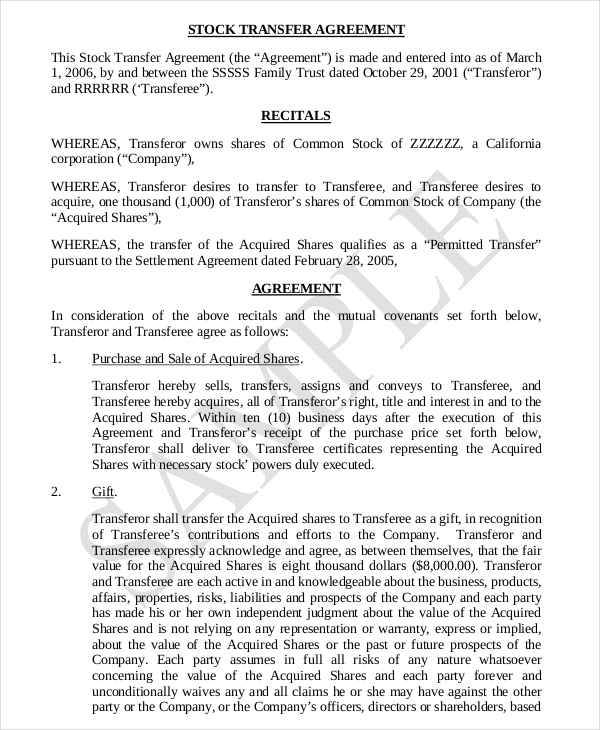 Transfer agreements, as the name suggests, is a means of fund transfer between the two parties within the agreed upon arrangements. 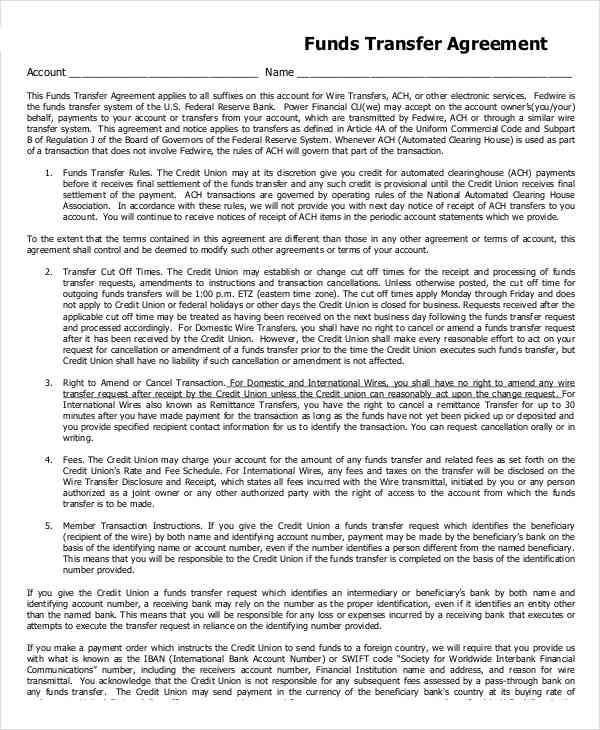 It is a means of transferring funding, personnel, materials, and even property and rights from one party to the other party member in the agreement. 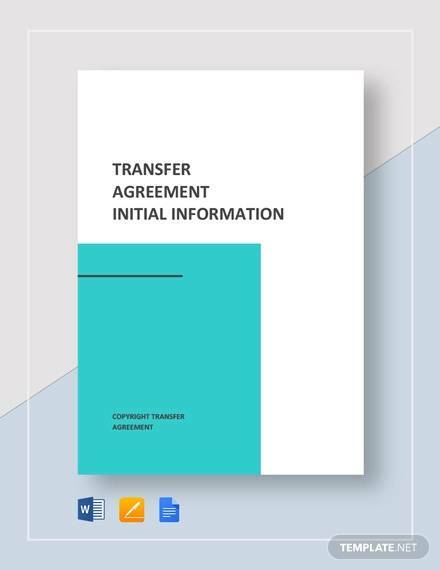 A transfer agreement can be classified as a Business Transfer Agreement in which both members of the agreements have set certain arrangements that should benefit both parties. 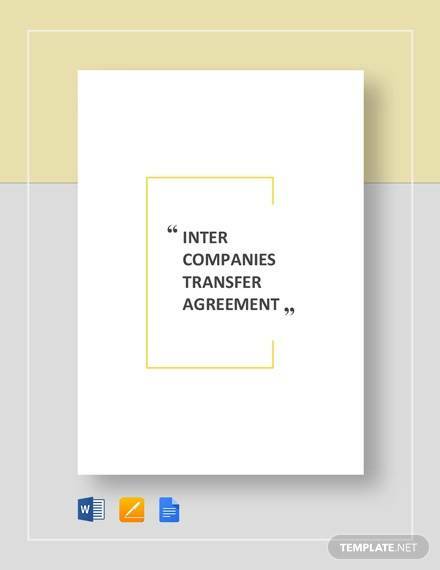 Typically, this form of agreements is useful in terms of starting a new corporation between two companies, a type of partnership between the two companies to form into one corporation. 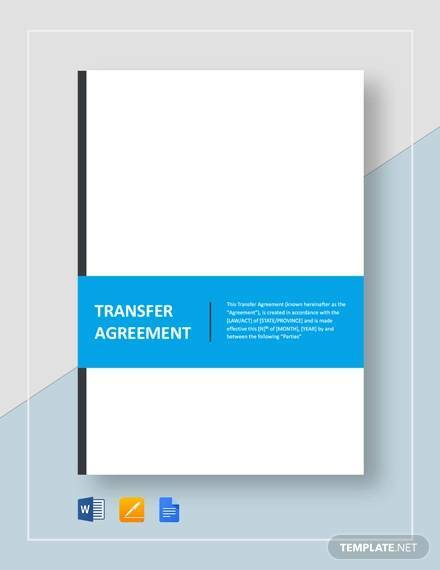 How to Write a Transfer Agreement? Be extremely descriptive about what your party and the other party wants to trade, being descriptive even down to the weight of the material. This may seem drastic, however, this would allow you to more effectively catalog all of your transactions and trade between the two parties. 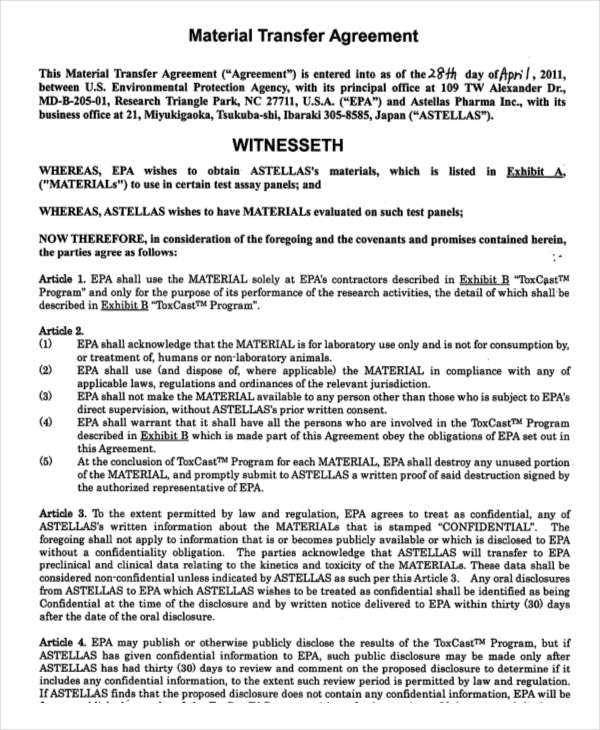 Identify and describe the exact credentials of both parties so as to allow readers of the document to identify the party members involved in that agreement. 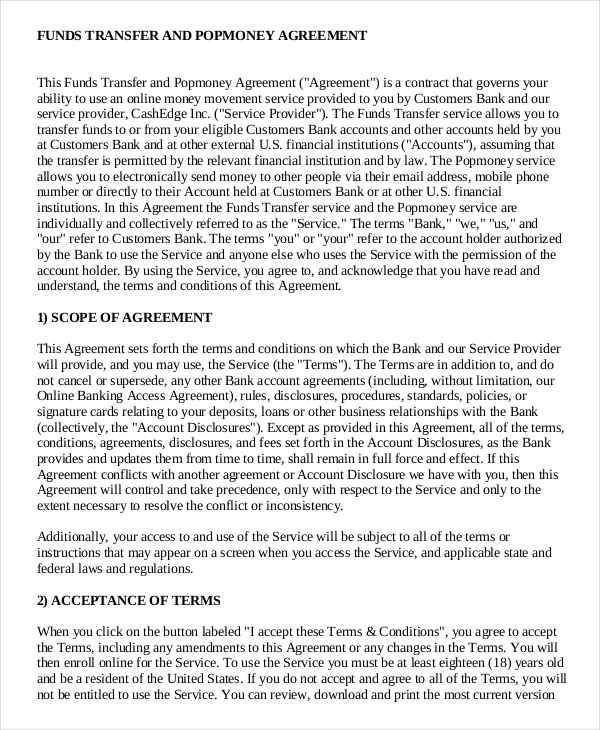 What Is a Risk Transfer Agreement? 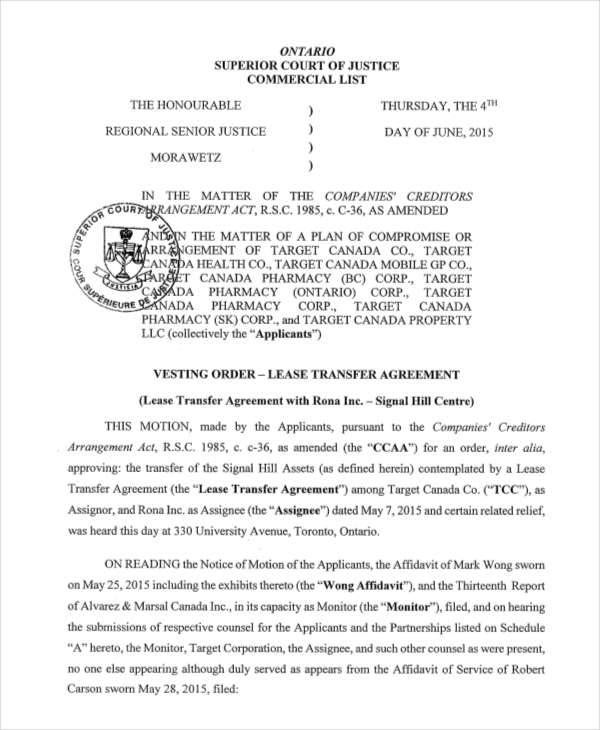 A risk transfer agreement is just another one of many forms of agreements just like a Business Agreement. The main purpose is a transfer of a certain person, material, object, property, or rights. 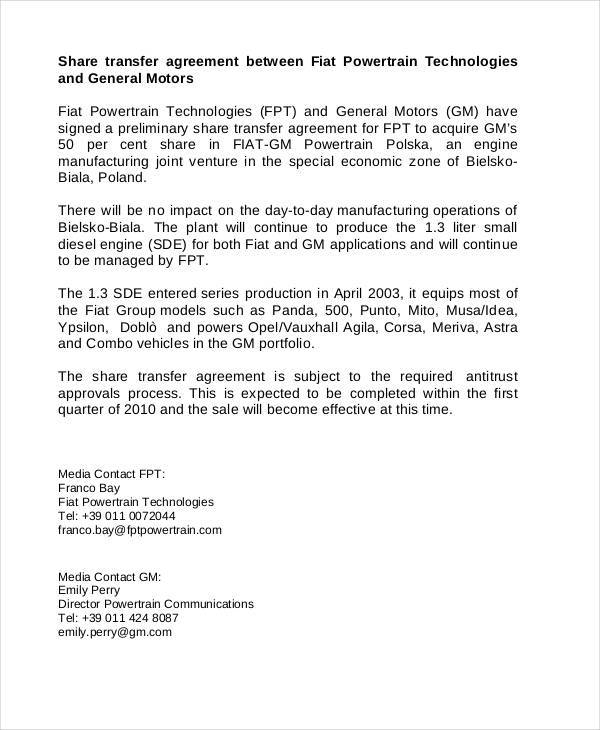 However, in this case, the thing being transferred is most likely a right. Say a person is hurt during an accident and is in an agreement with a certain insurance company, in this case, instead of the injured person paying for his medical bills, the insurance company will handle the risk or the payment that must be done. 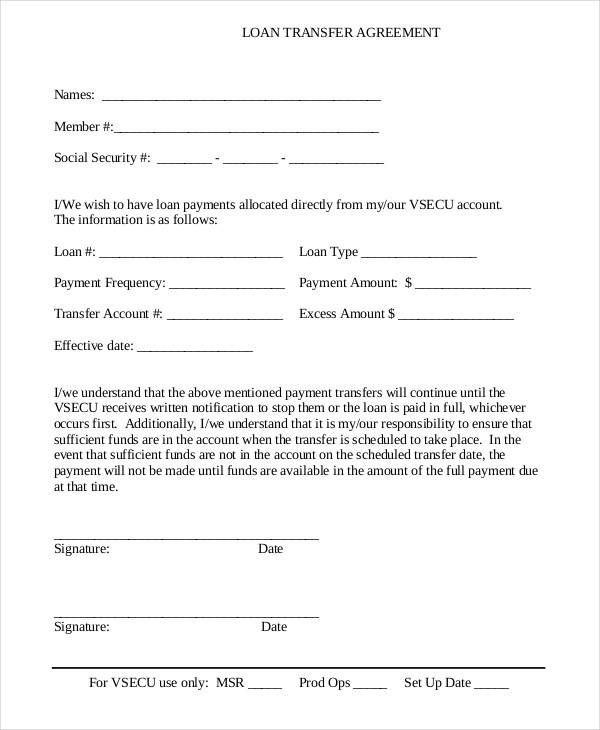 For more Sample Agreement forms, feel free to browse through more of our Sample Agreement forms available on this site. But why stop there? 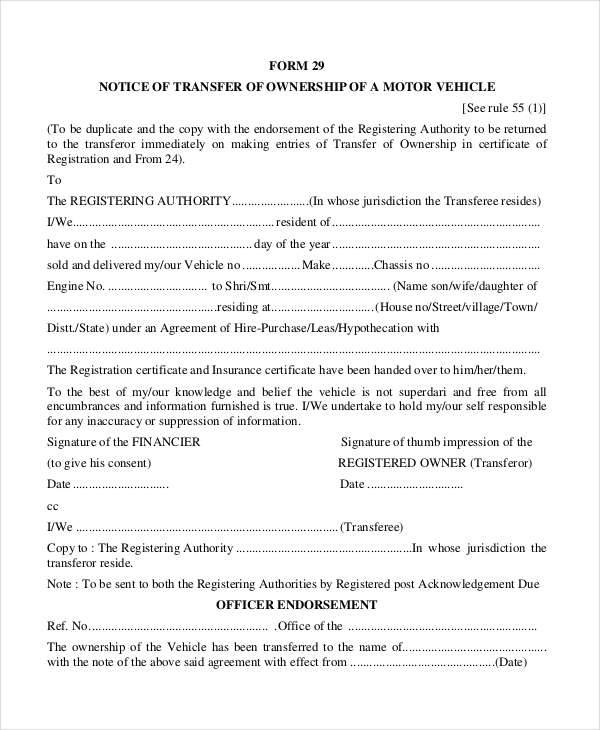 We have a lot more forms than just agreement forms available here, so just browse and feel free to read any of our articles about the different documents.